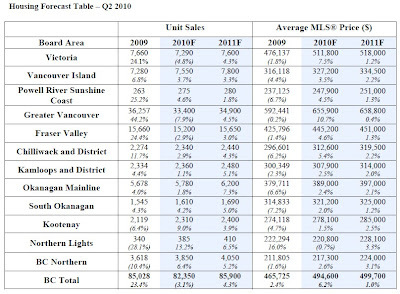 Vancouver, BC – June 7, 2010. 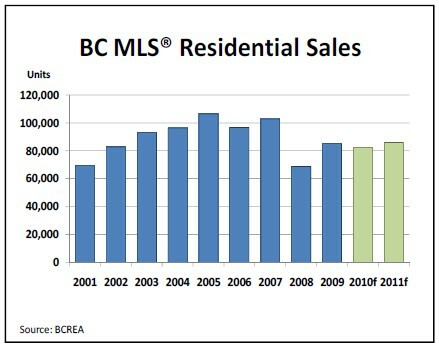 The British Columbia Real Estate Association (BCREA) released its Housing Forecast for the second quarter of 2010 today. 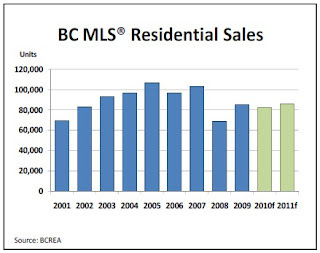 BC Multiple Listing Service® (MLS®) residential sales are forecast to ease back 3 per cent from 85,028 units in 2009 to 82,350 units this year, before increasing 4 per cent to 85,900 units in 2011. 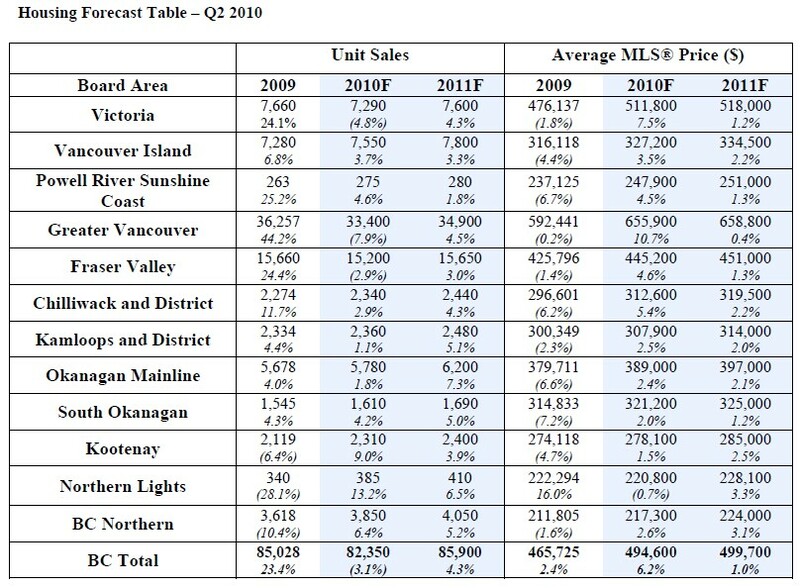 The average MLS® residential price is forecast to climb 6 per cent to $494,600 this year and remain relatively unchanged in 2011, albeit increasing by 1 per cent to $499,700.